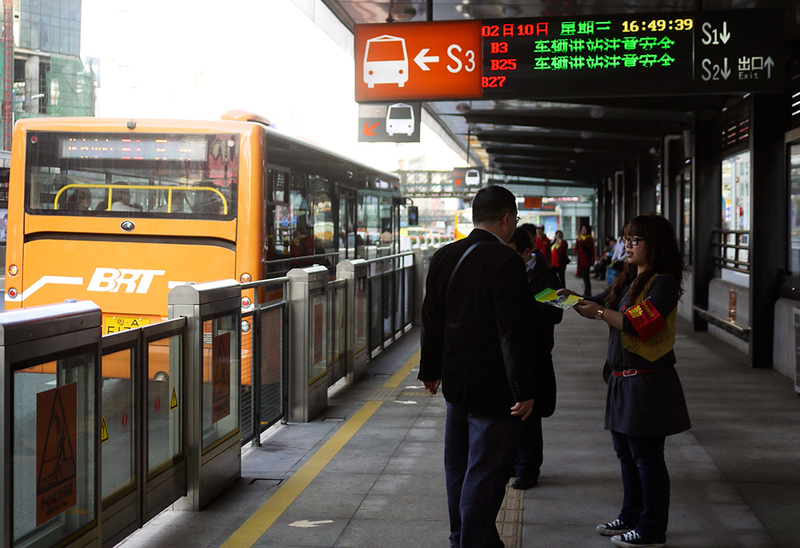 Bus Rapid Transit or BRT aims to provide a subway-like level of service and speed, but using buses rather than fixed rail trains. 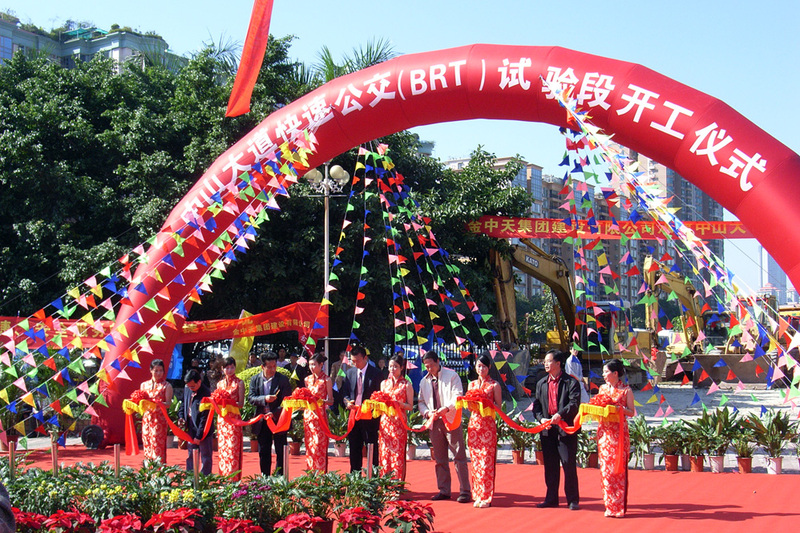 BRT systems are especially appealing to cities which are rapidly growing, because they are more than 10 times cheaper than subway systems to build and operate, and can be built much faster. 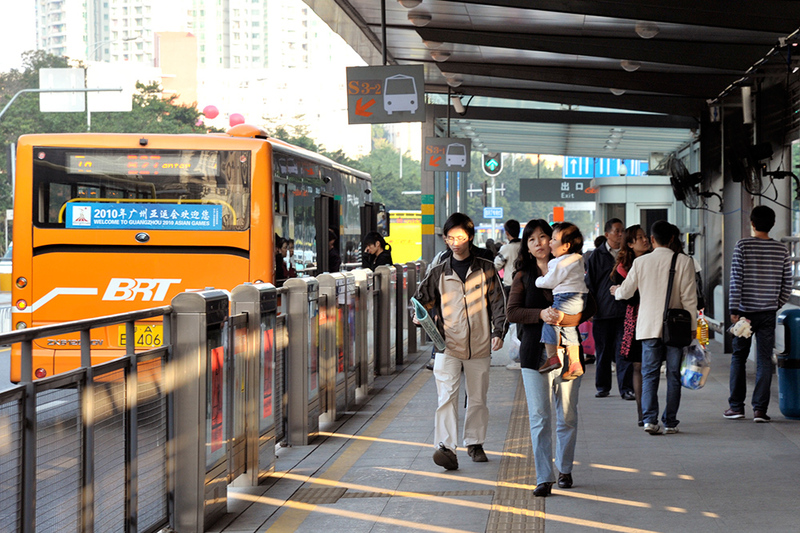 – the world’s largest passenger boardings at regular BRT stations. 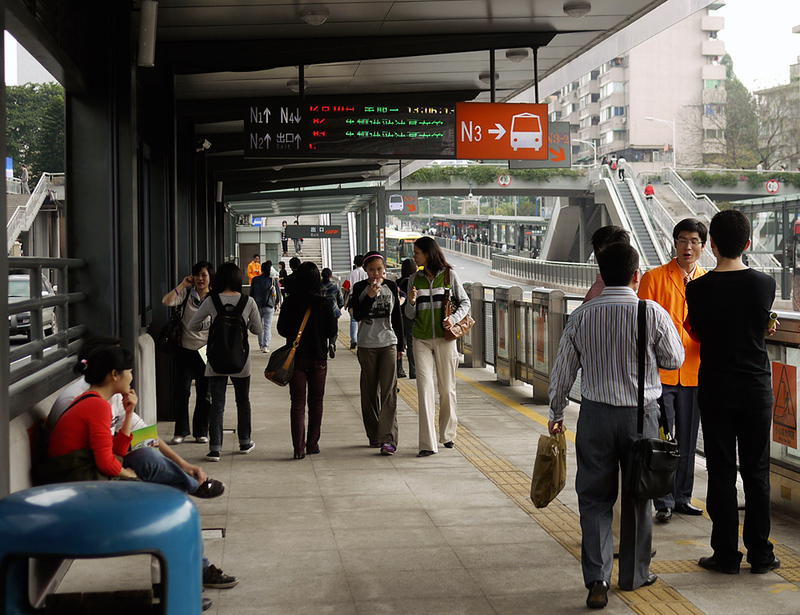 – peak passenger demand more than 3 times larger than any other BRT system in Asia. 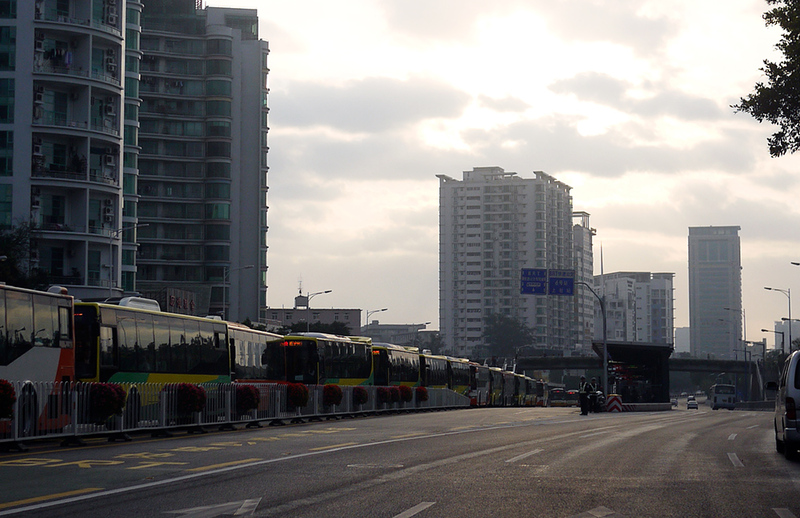 A queue of BRT buses at the intersection of Tianfu Lu and Zhongshan Avenue. 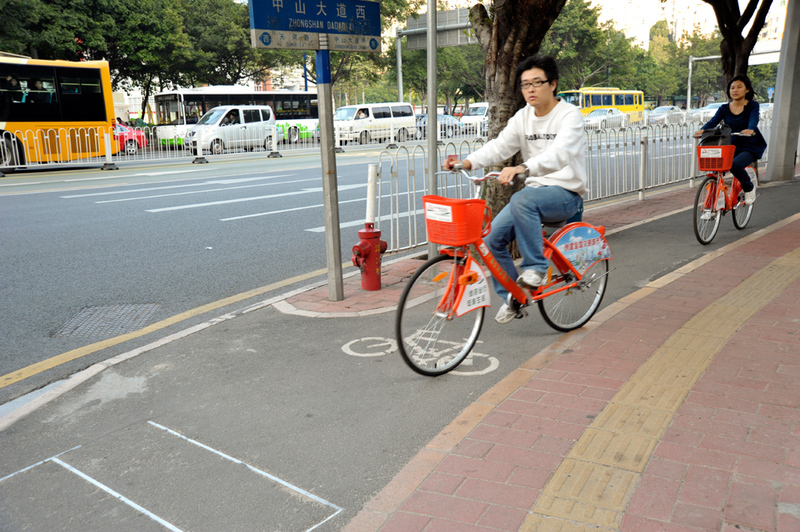 Several operational problems still need to be addressed, especially during the morning peak hour. Oversaturation of some key stations and delays at some key intersections often result in relatively slow peak hour bus speeds. The key solutions are to take some routes outside the BRT system (operating in mixed traffic along the BRT corridor), and to modify the routes to reduce the large number of unnecessary transfers, especially at the first and last stations.